This is a view of the second bridge across Degayasoh Creek. 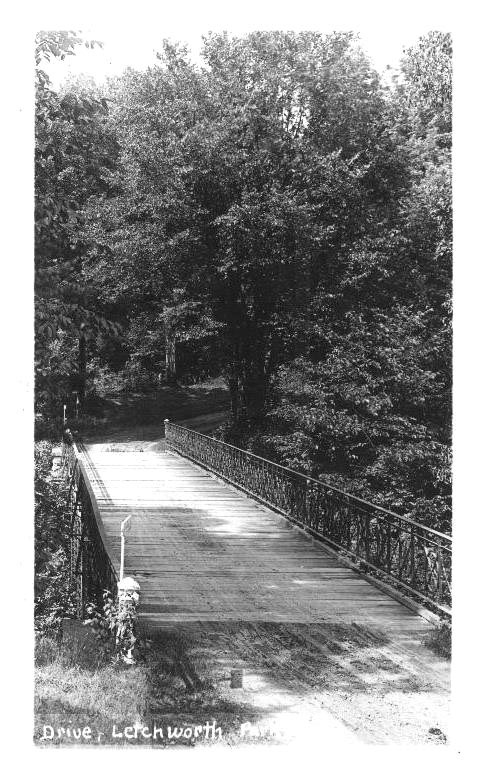 It was built by Mr. Letchworth to replace the original wooden bridge. This bridge would challenge the early motorists to the new Park until the Stone Arch Bridge was built. For other views of this bridge, see Image 43.